Pawning your Chateau Mouton Rothschild? Loans on Mouton Rothschild! If you are thinking about using an asset to secure a loan and are wondering ‘should I pawn my Mouton Rothschild wine’, a valuation from New Bond Street Pawnbrokers is the first step to releasing cash. Specialising in loans on Mouton Rothschild wine and other luxury goods, we have the knowledge and expertise to offer you an accurate and professional valuation. Pawning your Chateau Mouton Rothschild wine at our discreet shop in London is a straightforward and hassle-free way of securing an asset based loan. The process is conducted by our professional team, who understand the need for simplicity and sensitivity, as well as in-depth knowledge. Our experts will examine your wine carefully, taking into account features such as vintage, storage conditions, provenance and bottle condition. A loan value will then be offered to reflect a current and informed assessment of your wine. As the owner of Mouton Rothschild wine, you will know that it is something unique. The story began in 1853 when Baron Nathaniel de Rothschild acquired Château Brane-Mouton, an estate in the Médoc region of France, with a vision of growing his own wine to serve to guests. 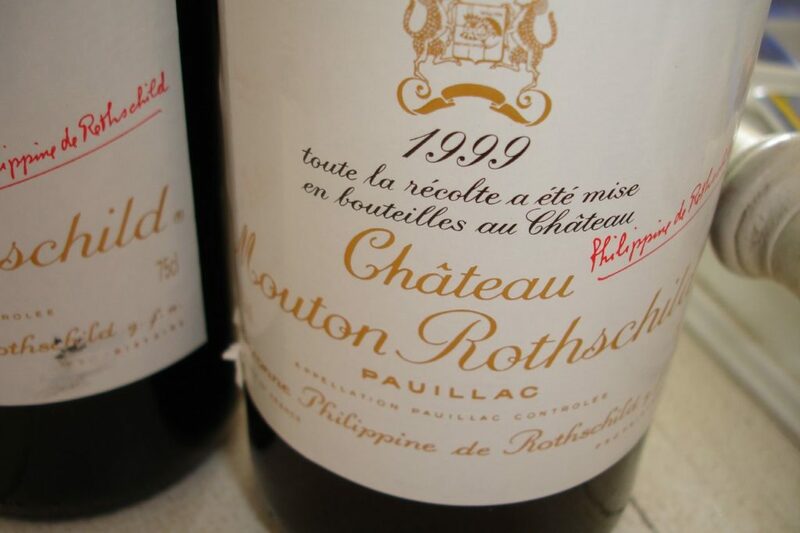 Renaming the estate Mouton Rothschild, production soon began on this distinctive, rich wine. Baron Nathaniel’s great-grandson brought two distinct innovations to the château’s way of working. Firstly, he introduced bottling all wine on site, rather than delivering it in barrels, allowing tighter quality control. This remains standard practice today for all Grands Vins. His second innovation was to ask artist Jean Carlu to design the label for the 1924 vintage, starting a tradition whereby since 1945 (with the exception of a couple of years) a new artist has designed each new vintage’s label. Illustrious names such as Picasso and Andy Warhol have been contributors. These innovative and unique touches have informed the faultless reputation of Mouton Rothschild. But of course, the real star of the show is the wine itself. Known as one of the finest produced in Bordeaux, even in the whole world, it presents as rich, smooth and with a hint of spice. Versatile enough to complement most meat dishes, fish and more exotic spicy food, the wine is recommended to be drunk when matured to at least 15 years to capture the deep, rich undertones that it is famous for. How can my Mouton Rothschild wine work for me? Thanks to its impeccable quality and reputation, Mouton Rothschild wine is a consistent high performer at auctions around the world and regarded as a reliable asset for anyone wishing to take a loan on their Chateau Mouton Rothschild wine . Château Mouton Rothschild 1945 is known as a classic to have in your possession, with bottles each selling around the £16,000 mark. Produced as a small vintage due to climatic conditions, it coincided with the end of World War II, adding a celebratory feel to the wine. At an auction in Hong Kong in 2012, a jeroboam sold for around £71,700, making it one of the most expensive bottles of wine ever sold. Whatever its vintage, your bottle of Mouton Rothschild wine will be sure to secure you a decent valuation if you are considering an asset based loan. So if you are now thinking, ‘I should pawn my Chateau Mouton Rothschild wine’, please do not hesitate to get in touch with us by any of the methods on our Contact page. Our experts in loans on Chateau Mouton Rothschild wine have a profound knowledge of the fine wines market and will be only too happy to offer you an accurate valuation against your vintage.